Are there 2 women on stage? … and then promoting shows that can answer YES to all three questions. At Edinburgh Fringe 2016, Bechdel Theatre has been placing stickers on posters to endorse shows that pass the Bechdel test (similar to ‘star ratings’ but with no indication of subjective opinion: only the fact that the show has women talking about something that’s not men!). Keep your eye out if you’re looking at a wall of flyers and want to choose something where women aren’t completely absent. 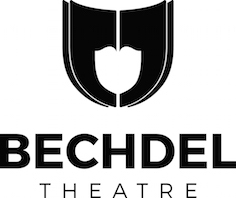 For up-to-date tweets about Bechdel test passing shows, in Edinburgh and beyond, follow on Twitter @BechdelTheatre, but if you’re planning your festival calendar and want some solid advice on which shows pass the test to help you cram your month with women on stage, look no further than this (non-comprehensive) list of 23 Edinburgh Fringe shows that ace the Bechdel test (plus 9 Bechdel-friendly solo shows) http://bechdeltheatre.blogspot.co.uk/2016/08/bechdel-testing-edinburgh-fringe.html. It includes where to catch the shows if you’re not in Edinburgh, so have a look even if you’re not fringe-ing this year. Does your show pass the Bechdel test?